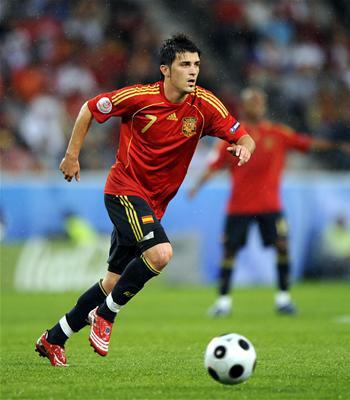 Spain continue their perfect run in the Confederation Cup in South Africa, beating the hosts 2-0, with David Villa and Fernando Llorente scoring both goals in the second half. David Villa had a penalty stopped in the 49th minute by South Africa’s keeper Itumeleng Khune but redeemed himself a minute later. The South African side qualified to the Semi Finals despite the loss after Iraq failed to win against New Zealand, finishing their match in a 0-0 draw. Iraq needed to win by two goals in order to advance. Spain finishes the Group stage without conceding while scoring 8 goals in 3 games. They now await to see who will it end in the other group with Brazil facing Italy and Egypt facing the United Stated as only Brazil have a place in the Semi’s already. Spain’s victory was their 15th straight, a new record for national sides.